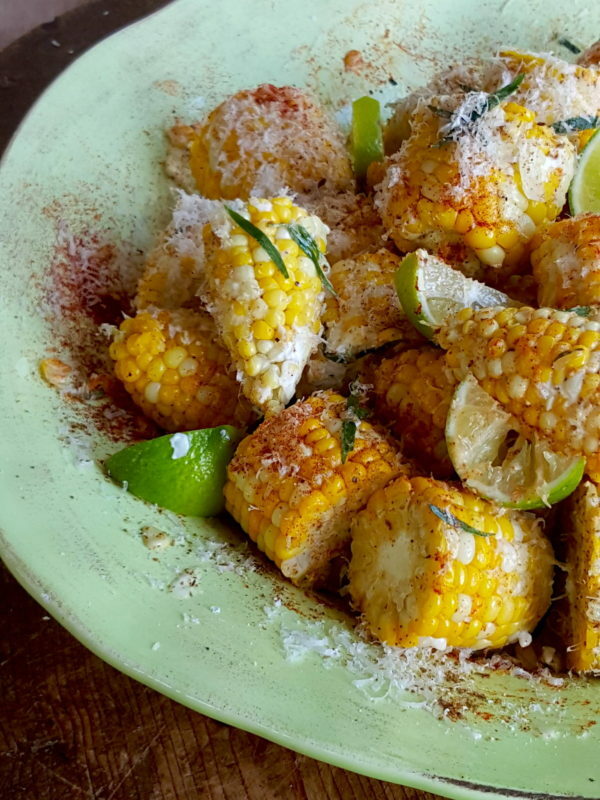 Sweet corn with lime & tarragon mayo. Rich! Delicious! There's something magic about tarragon and butter together. 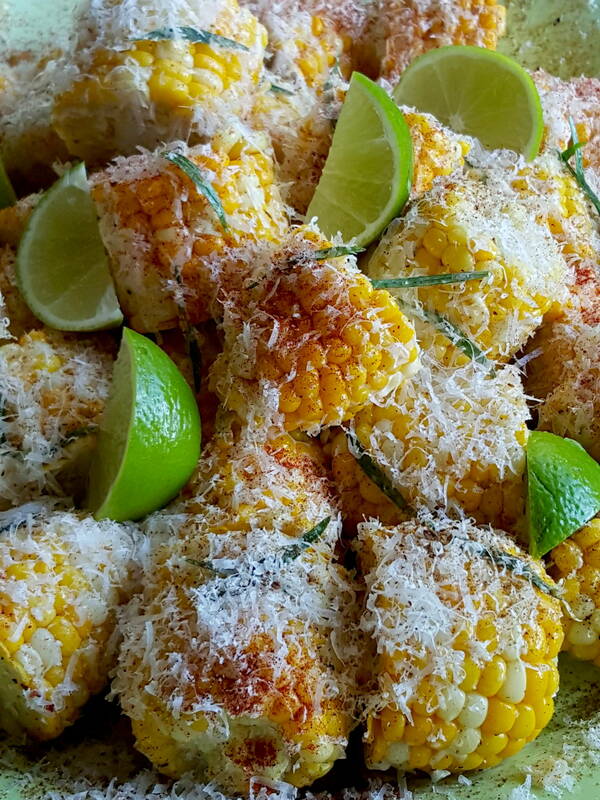 Add in parmesan, spices and a squeeze of lime and you've got a taste explosion. 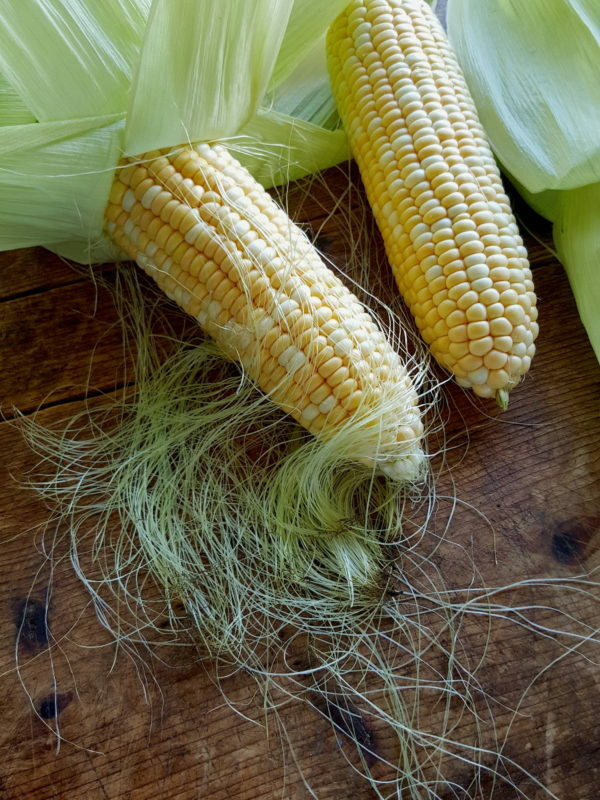 1 To prepare the sweet corn, pull down the husks leaf-by-leaf on the cobs, remove the silks, then rewrap the cobs carefully in their husks. Bind the corn with string (don’t use nylon ‘string’ or it will melt). Soak in cold water for 15-30 minutes. Pull back the green leaves (husks) but don’t remove them. Pull the husks back down over the corn. 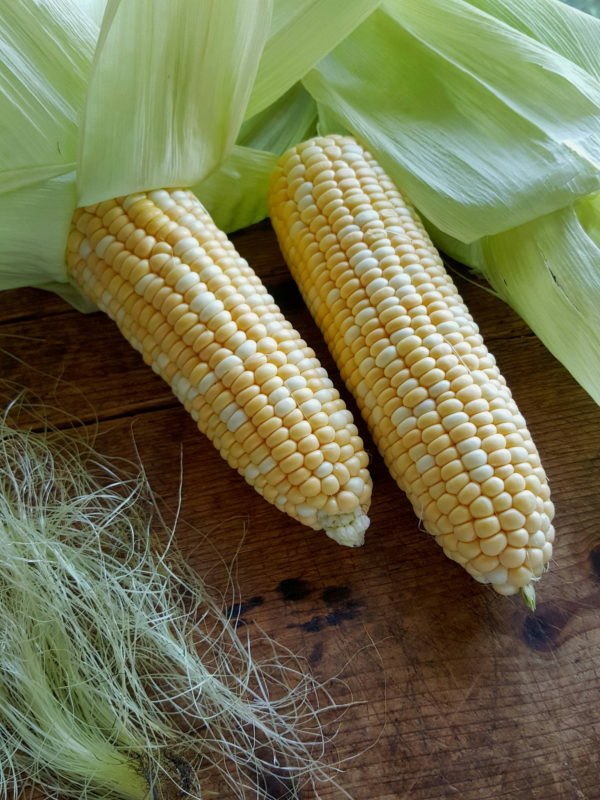 2 Cook corn cobs over hot coals for 15-30 minutes, turning often. If you don’t have hot coals at your disposal, cook the sweet corn on a preheated, lightly oiled barbecue hot plate over medium heat. Splash the corn with cold water from time to time to create steam, and turn the cobs every few minutes. If the barbecue has a lid cook mostly with the lid down. Either way will take 25-35 minutes. Remove string and husks and sprinkle cooked corn with salt. 3 Put melted butter, chopped tarragon and ½ teaspoon of salt in a large, shallow dish. Roll corn in mixture, then spread each cob with a little mayonnaise. Dust with parmesan and sieve over smoked paprika and cumin. Serve immediately with lime wedges for squeezing. 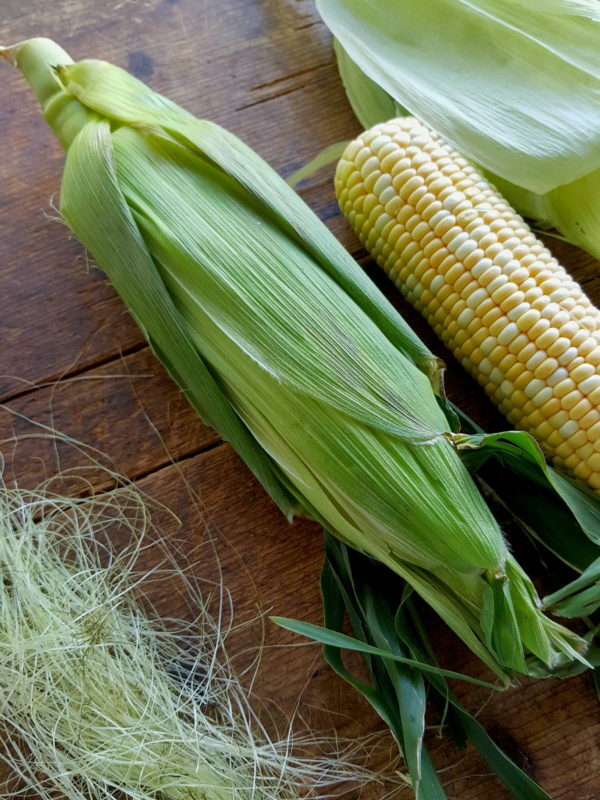 If you don’t have time to barbecue the corn, boil or steam in the normal way, then proceed with the recipe. 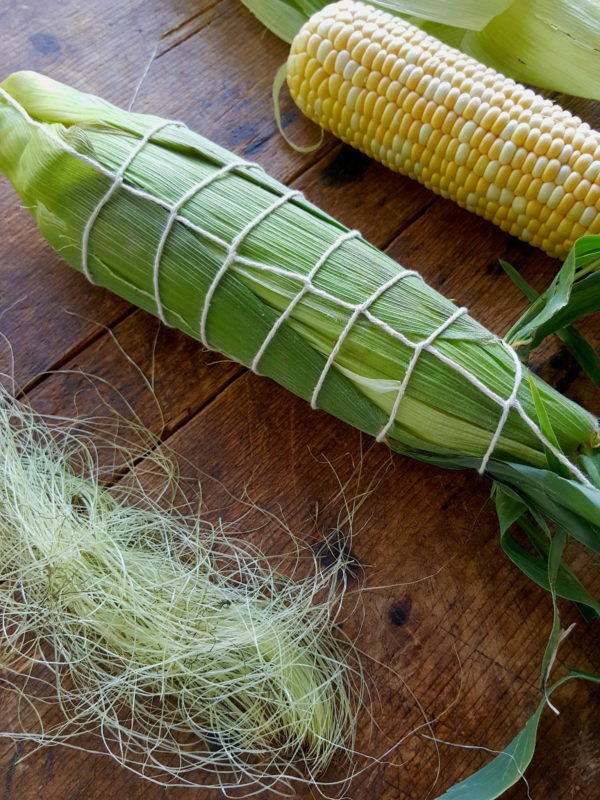 The corn can be stripped off silks, wrapped and tied a day ahead. Keep refrigerated. These are the cutest little smoked fish pies ever and utterly, utterly delicious. Hard to resist ... make more than what you need because leftovers are brilliant.